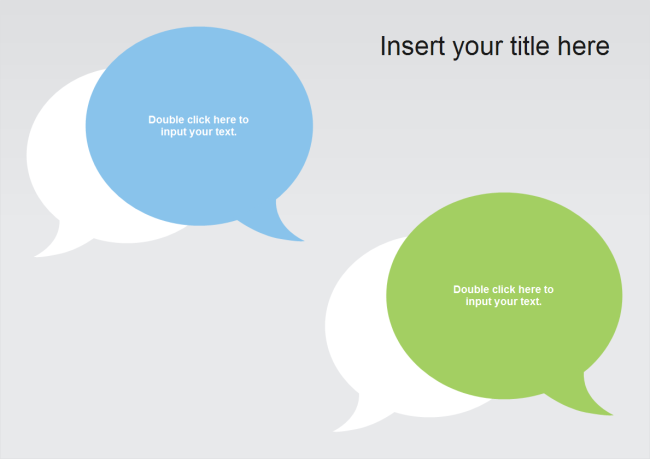 Description: Simple dialogue PowerPoint templates for free download. With too callout shapes and a gray background, this template can be used for representing dialogues or different opinions. It's totally customizable, allowing you to zoom in shapes, change colors and add more shapes.